A story about life, though perhaps not the one you would choose to live. 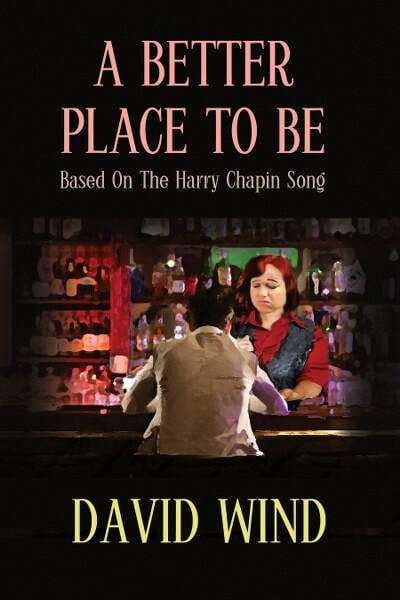 inspired by the characters from the Harry Chapin song of the same name, 'A Better Place To Be’ is a story of love, loss, and the ability to overcome the worst that life can throw at someone and come out the other side. That word just comes to mind over and over, in regards to this book, along with the phrase, heart-wrenching. It's good though - incredibly, in a makes-you-feel-things-and-think-things brilliantly good. Upon first meeting John, he's likable enough. He soon turns out to be sweet and the reader would have to be dead to not feel his love for Claire - and it is mutual. So the two of them have this great, comfortable thing...until tragedy strikes. Then the reader is treated to a gut-wrenching, realistic, accurate view of what happens all too often to too many people. I doubt there's a person alive who cannot relate to this... Still, Wind puts it all so simply and so realistically, it's like nothing I've ever read or am likely to read again. ....Point is, if you want a book that's real and will make you think, this is the one. If you don't want to think but like a book that'll give you all the feels, this is also the one. It's well detailed with perfect continuity. David Wind has written a 5 Star story about a wonderful couple – so happy and in love - and then surprises us with one of life’s heaviest blows. The reader indeed becomes “John Edghes” as John endures one of the cruelest fates that life can impose - tremendous loss, resulting in utter despair, loneliness, and addiction. He descends into an addiction as a means to cover up the horror of it all. John goes down that black hole (amazing how deep that hole can get) and he must make a decision to climb out in order to survive or go further down into that bottomless pit. After all, life goes on, with or without you. John faces seemingly endless challenges as he makes his way back into life. John eventually learns he is not the only lonely person in the world. People need people and life does indeed go on. This is a story about life. A message for us all. The cold reality that life does end and the living must go on living. David Wind has published thirty-nine novels, including science fiction & Fantasy, mystery, thriller, noir, and suspense novels. 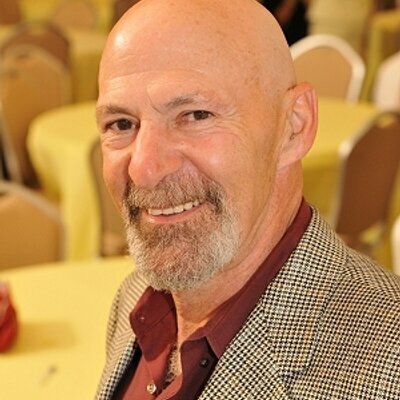 He lives and writes in Boynton Beach, Florida, and shares his home with his wife, Bonnie, and dog Alfie, a sub-standard poodle (email David for an explanation). His newest novel is A Better Place To Be based on the Harry Chapin song of the same name. Not his usual genre, this is a story of love, loss and facing to the worst life can throw at you and still be standing. Born To Magic, the first book of his sci-fi fantasy series, Tales Of Nevaeh, was released in 2015. All three books have reached into the Amazon Top 100 best seller rankings in several categories including Young Adult. Both the second book of the series, The Dark Masters , and the third Book, TRINITY: The Battle For Nevaeh, have all received high praise. David's fantasy, Queen Of Knights, was a #2 best seller on the Amazon bestseller lists for historical fantasy and medieval fantasy, and his sci-fi paranormal, Infinity’s Doorway, has received wide acclaim. When David formally left traditional publishing to become an independently published writer, he published Angels In Mourning, his ‘homage’ to the old time private detective books of the 50’s and the 60’s. Angels is a modern day take on the old style hard-boiled detective. In April of that year, Angels In Mourning, won the Amazon.com Book of the Month Reader’s Choice Award. His previous suspense thrillers are The Hyte Maneuverv, (a Literary guild alternate selection); The Sokova Convention ,, and The Morrissey Manifest ,. David's Mystery suspense novels include: And Down Will Come Baby, Now I Lay Me Down To Sleep, and Out of The Shadows. I appreciate and enjoyed reading about this book. Thanks for the giveaway and congrats on the tour.